By the end of the Meiji Period (1868-1912), Japan was a considerable power in Asia. And following its participation during the short Taisho Period (1912-1926) in the First World War, under the Anglo-Japanese Alliance of 1902, it was recognized as one of the world's great powers. But following the World War and the Russian Revolution, the world was undergoing great turmoil. As if to mirror this, Japan suffered the Great Kanto Earthquake of 1923 in which 140,000 people were killed or missing. 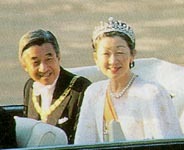 This was followed by the succession of the Emperor Hirohito (Showa) and his Showa Period (1926-1989). This reign started out well, with continued progress in the country's industrialisation. But the Great Depression from 1929, a series of incidents in China and political scandals at home all combined to take their toll on Japanese society. In 1932, Japan established a puppet-state in 'Manchukuo' or Manchuria. In 1933, the country withdrew from the League of Nations. Japan signed an anti-communism treaty with Germany in 1936. As the political parties began to lose their influence, the military started to increase theirs, invading northern China in 1937, an event partly covered in Bernardo Bertolucci's film 'The Last Emperor' (this second Sino-Japanese War actually lasted until the end of World War II in 1945). In 1938, premier Konoye Fumimaro pressed China for concessions and declared Japan's goal of a new order in East Asia.The political parties were forced to back the war and were later dissolved and a united national party formed in their place. This party and the Diet (parliament) itself were effectively powerless in the years up to the Second World War. Japan joined the Axis alliance with Germany and Italy in 1940. 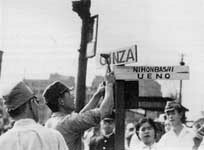 The totalitarian regime of premier Tojo Hideki approved the air attack on the US Navy base at Pearl Harbour in 1941, which signalled the start of the Pacific War (1941-45). The Imperial army followed up with invasions of the Pacific islands and most of South-East Asia in the pursuit of its so-called Greater Asian Prosperity Zone. Kamikaze pilots, Zero fighters, Iwo Jima, Bridge on the River Kwai - there are many provocative names and images associated with Japan and the Second World War. But the most powerful must be the two atomic bombs dropped on the cities of Hiroshima and Nagasaki in August 1945. Much has been said about the rights and wrongs of the bombings but ultimately they did bring about the end of the war. For the first time in history, Japan had been conquered. Following his radio announcement to the nation that the war had been lost, the Emperor also gave up the claim to divinity and became a symbol of the state (many have argued that he should have stood trial alongside Tojo in the Tokyo Tribunal of 1946. Instead, he remained as a figurehead until his death in 1989). Japan remained under the control of General Douglas MacArthur and the US occupation forces. Considerable social reform was carried out. Women were given the right to vote, workers gained the right to form unions and to strike and freedom of speech, assembly and religion were guaranteed. The signing of the San Francisco Peace Treaty in 1951 led to full Japanese sovereignty of the main archipelago the following year. The treaty marked the return of Japan to the international community. By 1972, all of the smaller islands under US control had been returned. But even today, the US maintains a considerable military presence in Japan, particularly in Okinawa. Disputes remain between Japan and other countries such as Russia and China over several territories. The 1947 war-renouncing constitution prevents Japan from having conventional armed forces but the Self Defense Forces, started in 1954, are one of the world's strongest. Politically, postwar Japan has been dominated by one party - the Liberal Democratic Party (LDP). There have been claims that they were considerably helped by covert financial assistance from the CIA in the US and the yakuza, or Japanese mafia. The party remained practically invincible for almost half a century. But in 1993, years of scandal (particularly the Lockheed scandal in 1976 and the Recruit scandal in 1984) finally proved too much for the electorate and an opposition coalition government was formed. However, the LDP was not about to fade away. After an unlikely coalition with the Socialist Party put it back in government in 1994, the LDP recovered its majority in 1996 and continues to rule today. The economic miracle that Japan experienced in the latter half of the century is the stuff of fiscal legend. The Tokyo Olympics and the launch of the first shinkansen, or bullet train in 1964, signalled the country's return to the world stage. Continuing technological advances combined with the Oil Shock of 1973 to push Japanese industry into ever-increasing efficiency and miniturisation. Suddenly, Japanese cars, robots and electronics were dominating world markets and the foundations were laid for a long-term economic boom. But the combination of almost-feudal business practices, corruption and political indecisiveness led to the so-called Bubble Economy, which finally burst in the mid 1990's. The so-called "lost decade", a prolonged period of stagnation and recession which followed caused revolutionary changes to the banking system, increased unemployment and a sharp rise in foreign investment in Japan, which in turn is bringing about changes to the Japanese way of doing business. The final years of the Japanese 20th century saw the death of the Emperor Showa and the start of the Heisei Period (1989- ). It also saw drastic changes and human tragedies which caused the country's people to examine, evaluate and criticize their society. The Hanshin Earthquake and Aum Shinrikyo sarin gas subway attack in 1995 sent shockwaves through the land as has the recent rapid increase in violent and juvenile crime. On a more positive note, the last few years have seen Japan performing well on the world stage. 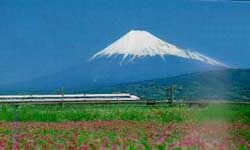 The Winter Olympics in Nagano in 1998 were hailed as a great success. Japan secured its first ever place in the World Cup in France in the same year as well as winning the right to co-host the event with South Korea in 2002. Japan continues to be a major provider of ODA (Overseas Development Assistance) and has recently begun to play a more active role in the UN and international peace-keeping efforts. Economic and social changes and the arrival of an increasing number of foreigners in recent years have caused some fundamental changes in the Japanese people's way of thinking. Young people in particular are more interested in self-expression and pursuing their own goals. Environmental awareness is on the increase although it is still lacking at some levels of government. Although behind the pace set by the US, the Japanese government is making efforts to bring the country in line with Western countries in terms of information technology, connectivity and computer usage. Changes to the oppresive educational system are also in the works. Having entered the 21st century, Japan is facing serious challenges in its struggle to remain as a major international player. A crippled financial system and the "lost decades" of economic stagnation saw it lose its rank as the world's second-largest economy to its great rival, China. And the major earthquake and tsunami that hit northeastern Japan in March 2011 caused not only major damage and widespread loss of life, but also the world's worst nuclear disaster since Chernobyl at the Daiichi Nuclear Power Plant in Fukushima. The second decade of the 21st century also brought to power an increasingly hawkish conservative government, and decades-long restrictions on the export of military equipment were seen as a lost opportunity to boost the economy. Similarly, the postwar constitution that restricted the country's military activities, even in peace-keeping operations, was seen by political leaders as a hindrance to Japan contributing on the international stage. That all changed with revisions to export guidelines in 2014 and to the country's security law in 2015, in the face of the largest displays of public protest seen in decades. Unsurprisingly, the governments of China and North and South Korea also voiced concerns about the "shift to militarism."